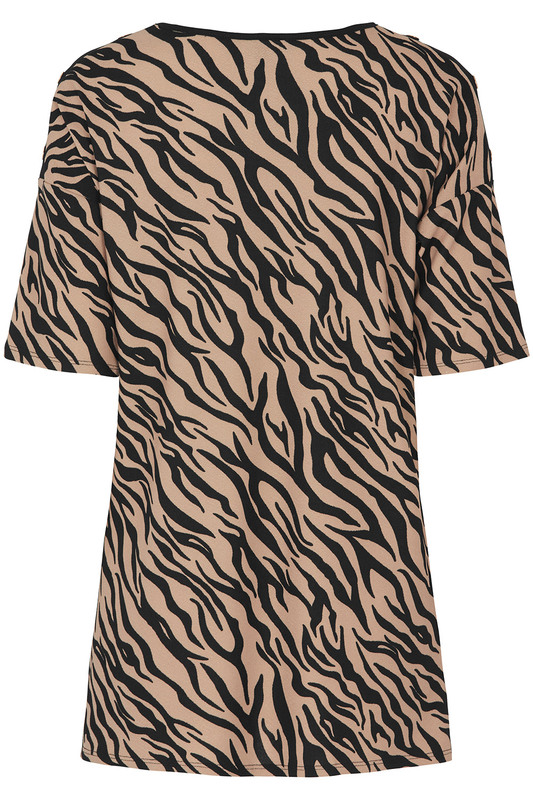 Go fashion-forward in this stylish animal-print tunic. 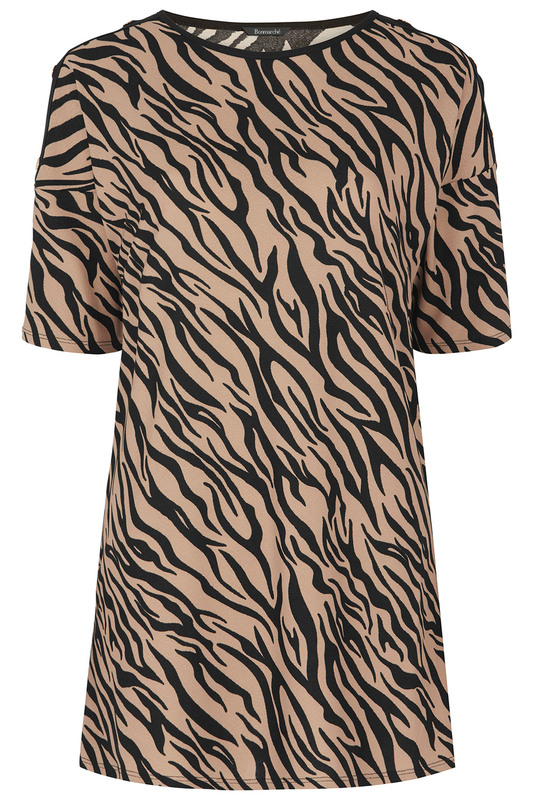 The pattern is inspired by tiger stripes and is complemented by black trim on the round neckline and glamorous gold poppers on the shoulders. Its flattering longer length gives a bit of extra coverage, so it looks great with slim-fit jeans or layered over leggings as a dress. Team with heels and some gold-coloured jewellery for a party-ready look.